The perfect balance of theory and practice presented through written material, and video. This opportunity gives one the ability to grasp the essence of Ba Gua Zhang without a teacher present. We supply the knowledge and methodology and you put in the hard work. I learned Ba Gua long distance – through numerous trips to China combined with lots of practice at home. You can learn that way too. I’ve been studying bagua for over a decade from various teachers and I wanted to let you know that your Distance Learning Program is the most comprehensive, in-depth and, most importantly, easily understandable, bagua teaching that I have ever come across. You are a master teacher with that rare combination of having top-notch skills AND the ability to effectively teach those skills to others. The perfect balance of theory and practice, written materials, video materials and interactive webinars. 5 complete workbooks on the foundational practice methods. More than 80 streaming videos over the web and/or through the Gumroad app. On your phone or tablet, watch all the videos through Gumroad’s free app (available on both IOS & Android). Additional Bonus Information will be offered once the course is launched! The student handbook outlining the entire Ba Gua system. Development of both health and self-defense skills. We will provide different discounts for the coming seminars in the US & Europe. Regular updates and access to more exclusive content. The starting point for learning Ba Gua Zhang. An important precursor to more advanced energetic and martial practices. Develop power and sensitivity through these subtle, yet profound internal exercises. The 12 standing postures are critical to developing “Sinew Strength” and the strong foundation necessary for true achievement in Ba Gua Zhang. Partner drills that develop power, distancing and timing. Self-defense applications based on body alignment, internal transformation and footwork.Lead the opponent into emptiness and seize their root. A simple yet powerful daily routine that regulates the body’s Qi Dynamic, thereby promoting health and longevity. The fundamental building blocks of the art. Each exercise has a specific purpose that operates on a physical, energetic and martial level. A profound practice that is the foundation of Ba Gua’s unique footwork and the basis of Ba Gua Zhang as a martial art. Surprise add-ons are extra materials that help explicate various facets of the Program – PDF’s, audio recordings, Q & A applications. The Foundational Level of the Authentic Ba Gua Zhang Distance Learning Program is LIVE! Real training in Ba Gua Zhang as it is taught in China today! 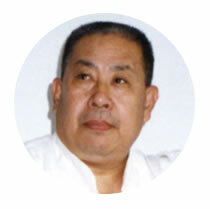 I’m Tom Bisio, the author of Authentic Ba Gua Zhang Distance Learning Program. 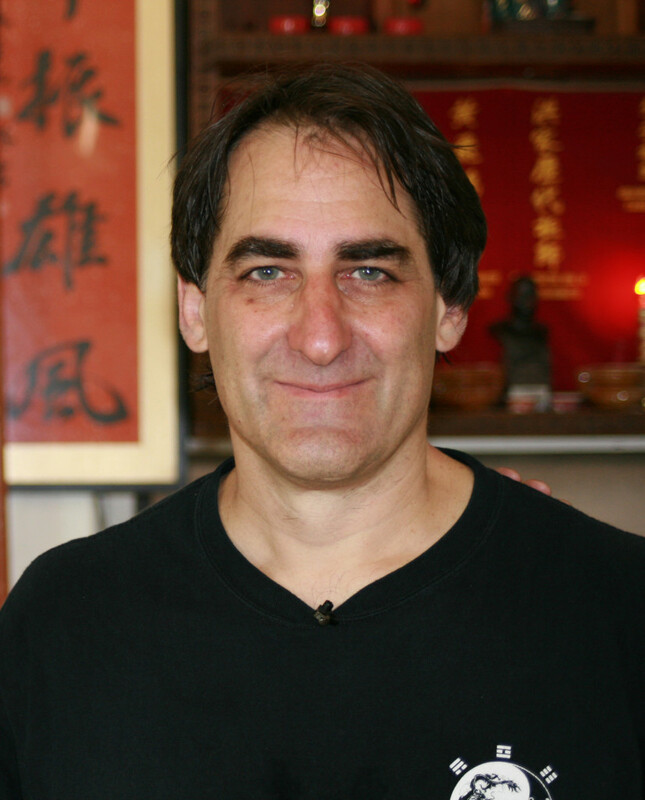 In designing this program I have drawn on my experiences of teaching martial arts for the last 35 years, and 25 years experience as a practitioner of traditional Chinese medicine. In the course of learning Ba Gua Zhang and preparing the Authentic Ba Gua Zhang Distance Learning Program, I made numerous trips to China to study with masters of the internal arts and Chinese medicine, and wrote a number of books on internal martial arts. The knowledge and insights gained during those trips, as well as my experiences teaching martial arts and Chinese medicine in the United States and abroad have influenced this program which I am excited to offer you. How is the Ba Gua Zhang Distance Learning Program delivered? With both the Foundational or Intermediate Level Online Learning Program, you will receive a detailed welcome letter with training guidelines, books in PDF format, student manual, online access to more than 200 videos (streaming only), if you enroll in both programs, and extra PDFs with additional information on specific topics. Bonus materials will be added periodically. What Style of Ba Gua do you Teach? Essentially we teach Liang Zhen Pu Ba Gua Zhang, or “Liang Style” Ba Gua Zhang. NYIA founder Tom Bisio first studied with Vince Black and Zhang Hua Sen, both of whom were disciples of the late, great Li Zi Ming, one of the best known students of Liang Zhen Pu. Tom is a disciple of Wang Shi Tong. Wang was a disciple of Li Zi Ming, as well as a disciple of the famous Guo Gu Min, the senior school brother of Li Zi Ming. 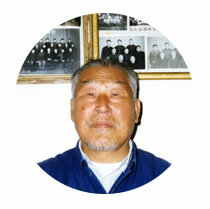 Guo was one of the most famous teachers of Ba Gua in the 20th century in the Beijing area. Why do some of the videos have no sound? Many of the videos have no sound or voice-over. This is deliberate, so that you can simply follow the movements without listening to someone talk. This is similar to training in China, where you first learn the movements by following the teacher and only later have an opportunity to ask specific questions, often in a different setting – over a meal or a cup of tea. The detailed information on alignment, structure, lines of power etc. is provided in the PDFs. What Style of Ba Gua is taught in the Distance Learning Program? Is it Gao Style Ba Gua? 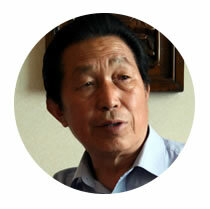 The Distance Learning Program presents Liang Style Ba Gua Zhang from Liang Zhen Pu’s lineage. We are not presenting Gao Style Ba Gua. See the detailed answer in the next FAQ. Since 2001, Tom Bisio and other instructors at New York Internal Arts have trained with Master Gao Ji Wu and his school brothers, who teach Beijing Gao Family Ba Gua Zhang, which is essentially an off-shoot of Liang Zhen Pu Ba Gua. Gao Ji Wu’s grandfather, Gao Wen Cheng, was a disciple of Liu De Kuan (who purportedly created the 64 Linear Forms) as well as Yin Fu, who created Yin Style Ba Gua. Therefore, there is some Yin Style influence in the lineage. Liu De Kuan and Liang Zhen Pu both taught Guo Ge Min. Gao Ji Wu’s father, Gao Zi Ying, studied with both Gao Wen Chang and Guo Gu Min, as well as many other famous teachers such as Wang Xiang Zhai (Yi Quan and Da Cheng Quan). Gao Ji Wu in turn learned from Gao Zi Ying, and today teaches Beijing Gao Family Ba Gua in Beijing. In 2011, Tom Bisio and members of New York Internal Arts also began to train with Master Zhao Da Yuan. Master Zhao is one of the original group of disciples who trained under Li Zi Ming, as well as the inheritor of a rare family system of Qin Na (Chin Na). Therefore, we teach Liang Style Ba Gua Zhang flavored by the above influences, with the main influence coming through Guo Gu Min, who taught Li Zi Ming, Gao Zi Ying, and Wang Shi Tong. I notice in the Student Handbook that the forms and exercises seem to come from different teachers rather than a single teacher. Why is that? 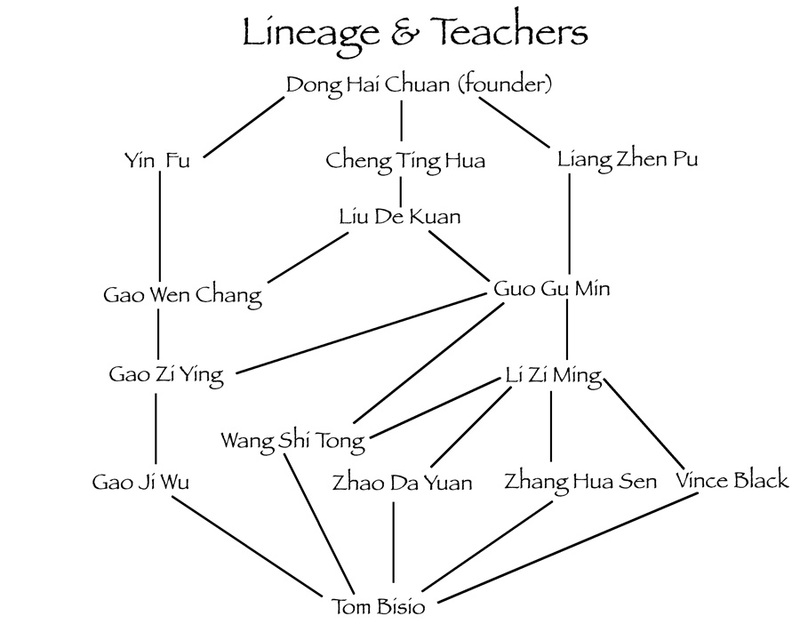 In learning Ba Gua I studied with five different teachers who are connected to the Liang Style Lineage in one way or another. Many of them taught the same forms, but often with different movements and names and they all taught things in a different order, often according to the individual student’s capability, interests and needs. As all my teachers were very proficient, I consider each to be correct in his presentation of the material, but I also understand that each had, or has, his specialties, preferences and predilections, as well as his own unique physical attributes. Therefore, in my own training, I looked carefully at what each set of exercises or forms was supposed to develop and which expression of the those forms and movements efficiently produced that development. These are the forms that have gone into the New York Internal Arts Curriculum and the Distance Learning Program. I learned basic exercises drills and locks and throws from Zhang Hua Sen, who broke down the 64 forms, 13 elbows and other forms. 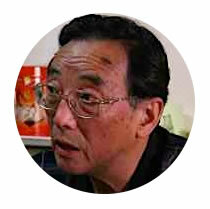 Some of Zhang’s applications came from his background in Shuai Jiao and from his physicality as a former Chinese opera performer. With Vince Black I refined the exercises and basics and worked on variations. Wang Shi Tong also broke down forms move-by-move with applications. He also taught variations of the forms I learned from Zhang – although Wang’s applications tended to be simpler and more direct. I have learned both Lao Ba Zhang and Ba Gua Lian Huan in three different ways from three different teachers. Although the structure and basic principles of each version were congruent, I found Wang Shi Tong’s expression of Lao Ba Zhang (Old Eight Palms) and the Eight Single movements that relate to the Eight Palms to be the most clear and succinct and to most efficiently develop the requisite body skills. Later I relearned yet another version of Lao Ba Zhang from Zhao Da Yuan, and gained deeper insight into his ideas about the form and other applications of the principles. Similarly, I found Gao Ji Wu’s expression of Ba Gua Lian Huan to be the version that most clearly develops the skills of linking movements smoothly and introducing Swimming Dragon Body shen fa. From Zhang Hua Sen I learned the fundamentals of the 7 Star Stick, from Gao Ji Wu the Staff form and the big Saber (Da Dao) – the Ba Gua Slicing Saber – while Wang Shi Tong taught the actual usage of the Saber through his 64 Ba Gua Saber. All of these influences are integrated into the curriculum of the New York Internal Arts classes and the Distance Learning Program. It is not possible to answer everyone’s questions about training and many questions are impossible to answer through words alone. We encourage you to practice the material as many questions can only be answered through practice. In the first year we offered a question and answer period for participants, questions which Tom answered personally on video. So if you join now, you’ll see the answers to those questions as part of your course materials. What is the difference between the Foundational Level Program and the Intermediate Level Program? The Foundational Level Online Learning Program develops the base level skills and body attributes that serve as the foundation for more advanced training. The Foundational Program focuses on basic Ba Gua Nei Gong methods that efficiently inculcate key internal skills and attributes into the body. The most Important of these methods are the 28 Foundational Exercises, the Twelve Standing Postures, and Ba Gua Circle Walking Nei Gong. The Intermediate Level Program starts where the Foundational Level left off, by introducing the Eight Basic Palms and their related linear drills and exercises, as well as advanced Nei Gong practices. All of these elements build on the Foundational Training, and are extensions of the Foundational training. The Intermediate Level also introduces some of Ba Gua’s martial methods such as Striking, Kicking Locking and Throwing, all of which also develop more advanced body skills and internal alignments. The Intermediate Level includes the foundation weapons training with the saber and staff. Can I go Straight into the Intermediate Level Online Learning Program? Yes you can. We expect that some of you have sufficient background in Ba Gua Zhang, or Internal martial arts in general, to be able to go straight into the Intermediate Level Program. Proficiency in internal arts like Ba Gua Zhang is largely dependent on developing a solid foundation, so if you have not acquired the basic skills and attributes, we suggest beginning with the Foundational Level Online Learning Program. If you have been diligently training in the Foundational Level Program for 18 to 24 months, or done equivalent training elsewhere, you are ready for Intermediate Level Training. One can of course purchase both programs together, which not only gives you an overview of the all the key elements of Ba Gua Zhang, but also allows you to interweave and cross-train the Foundational and Intermediate material simultaneously. Will everything listed in the Student Manual be covered in the Distance Learning Program? No. That would be an impossible task, as it is simply too much material to cover adequately in a distance learning program. We will cover all the key elements that develop real skill in Ba Gua Zhang. Can I upgrade from the Standard Foundational Program to the Complete Foundational Program? Should I choose the Standard or the Complete Foundational Program? This is really a personal decision. I recommend the Complete Program, but if cost is an issue, than the Standard Program offers another option. If you want a refund, let us know within 14 days after joining and we will give you a refund, minus a $75 administration fee. The exclusive PDFs worth over $100 in hard copy format are yours to keep. Unfortunately that is not possible. When you purchase the program, the whole program is delivered to you. There is no way to deliver a partial program or to process partial payments. Is this Distance Learning Program suitable for children and teenagers? There is the exceptional young person who might be a natural fit with an intensive program in internal martial arts. However in general, in China an intensive program in internal martial arts is not considered suitable for people so young. This is not because a young person cannot learn Tai Ji, Ba Gua or Xing Yi, but because at this early stage of growth and development, arts that open up and exercise the body more are more suitable – the Qi needs to move outward more than it needs to consolidate inward. Generally people under 17 to 19 years of age, focus more on other so-called “external arts.” Even if they learn some Ba Gua, some time is spent on stretching, stance work, strength development, and arts that open up the body such as San Huang Pao Tui, Long Fist, Tam Tui, basic weapons sets, Shaolin training sets, Lohan, etc. This creates a firm foundation in Chinese martial skills and internal practices are then slowly added and eventually become the complete focus. This approach is considered healthier and more in tune with the natural life progression.